About the Book: Taryn McKenna believes she’s easy to forget. Abandoned by her parents and left behind when her high school sweetheart joined the army, she vows to never love again and throws herself into her love for the outdoors and the pursuit of a college degree—something no one else in her family has ever accomplished. Her goal, as a young teacher in the hills of North Carolina, is to leave a legacy in the lives of the middle-schoolers she teaches. 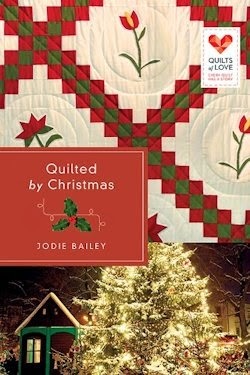 When Taryn’s grandmother Jemma, the only other person who ever held her close, has a heart attack that reveals a fatal medical condition, Taryn is corralled into helping Grandma work on a final project—an Irish chain quilt that tells the story of her history and the love Jemma knows is out there for Taryn. As the pieces of the quilt come together, Taryn begins to see her value. Can she learn to believe that God will never leave her behind even though others have?